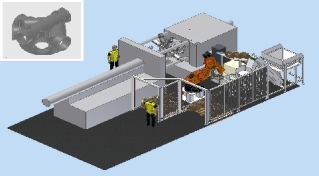 Our concepts start with 3D design, for example this injection moulding machine tending and assembly cell automatically assembles plastic inspection chambers. ©2010-2016 MARS. Website by Resolve. Valid XHTML 1.0 Strict and CSS.